Put-in-Bay Condos stretches over 3 1/2 acres of prime Put-in-Bay water front property. The property has 250 feet of lakefront shore line and a wonderful view of the mainland and adjacent islands. We have a swimming pool, plenty of room to unwind and relax and a wonderful beach to build an evening fire and watch a blazing sunset. Enjoy a game of volleyball, or barbecue your dinner and dine al fresco. Whatever you do, you'll enjoy your stay with us. Our two-bedroom, two-bath condominiums are spacious and can accommodate up to eight people. This is a great opportunity for families and friends to enjoy island living at an unheard of low rate and be right on the water. 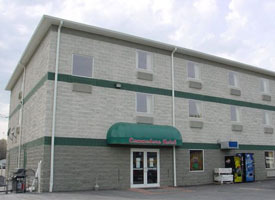 The Commodore was recently remodeled for our guests' continued luxury comforts. The new rooms include: King Jacuzzi Suites, eight-person suites, and the traditional two double beds. In addition, there are handicapped rooms available. All of the rooms in the new building are equipped with high speed internet, microwaves, refrigerators, and the majority of the rooms have a view overlooking the famous MIST pool area and tiki bar. The newly rebuilt hotel also includes a Subway restaraunt. However, the hotel is not the only section of the business that we have changed and made it better. Mr. Ed's Bar and Grille was rebuilt a couple years back. The bar and grille is now connected to the new section of the hotel, for easy access for our guests. Mr. Ed's is now three times the size of the original bar, with a 3000 square foot, second story viewing deck which overlooks the gorgeous Put-in-Bay harbor and DeRivera Park. 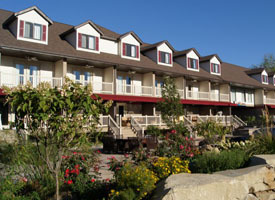 The Put-in-Bay Resort is Put-in-Bay's newest resort hotel and the islands only full service conference center with rooms and facilities located on site. Guest's will enjoy the Put-in-bay Resort's close proximity to the downtown Put-in-Bay shopping, restaurants and nightlife just one block away. 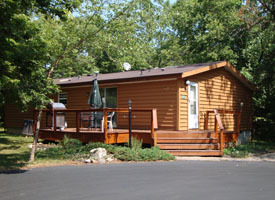 The Put-in-Bay Resort feature family style suites that sleep up to 6 people, rooms that sleep 2 and 4, as well as Jacuzzi rooms and wheelchair accessible rooms. A bountiful continental breakfast is included Sunday thru Friday! The Bay Lodging Resort is located just a 2 block walk from the downtown Put-in-Bay nightlife and features the islands only indoor outdoor pool with Jacuzzi! 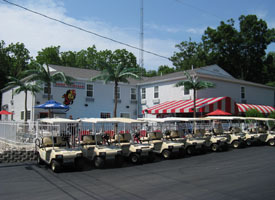 The Bay Lodging Resort features a full service bar with a unique Ohio State University theme and a newly expanded pool deck. Located in a quiet neighborhood, the Bay Lodging Resort offers you all the excitement of downtown in a quiet peaceful setting. Guests of the Bay Lodging resort will enjoy numerous floor plans including rooms for 2, 4 and 6 people and 2 bedroom suites with full kitchens! 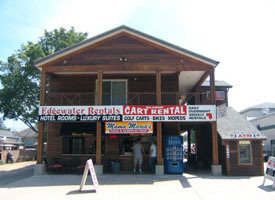 When you want to be in the heart of the action, there is no better location to stay than the Edgewater Hotel Put-in-Bay. Located on the main street in downtown Put-in-Bay across from the park and waterfront, our Deluxe Hotel Rooms sleep up to 4 adults. Luxury Suites sleep up to 6 adults and feature a full size refrigerator, freezer, microwave, wet-bar, kitchenette, 27" TV with cable, recliner, queen size sleeper sofa, 2 queen size beds, and a bath with a separate double vanity. Second floor suites feature a 135-foot deck with a 25-foot veranda looks out on the island's finest view of the downtown and Put-in-Bay waterfront. 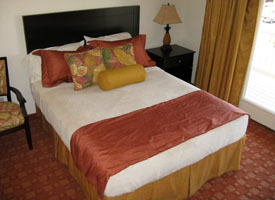 Deluxe Rooms feature 2 queen beds, 27" color TV with cable, and a bath with double vanities. These luxurious and spacious villas offer 5 bedrooms and 3 full bathrooms with four bedrooms having bedroom having one queen size bed and a fifth master bedroom having three queen size beds. The kitchens are equipped with full size refrigerators with ice maker, stove, dishwasher, dishes and silverware, pots and pans. Cabinets are finished in rich Cherry wood and all bath and kitchen countertops are granite finishes. An 8 by 15 foot furnished deck off the living room and a 5 by 15 foot deck off the second floor bedroom offers a view of the pool and swim up bar and the lushly landscaped courtyard with Splash Pad and Waterfall. Newly built in 2010, the 8 person villas feature 2500 square feet with 4 bedrooms. There is one queen size bed in each bedroom, 3 full bathrooms, living room, a fully equipped kitchen including stove, microwave, refrigerator & freezer with ice maker, and a living room with a 50" flat screen TV with cable. The first floor features a deck off the front and the second floor shares a veranda overlooking the lushly landscaped courtyard and the Put-in-Bay Resort swim up bar all located just one block from downtown Put-in-Bay! The Island Club consists of 73 fully furnished homes available for rent. The homes feature three or four bedrooms, two baths and a equipped kitchen. Also, each home has an outdoor deck complete with a propane grill. 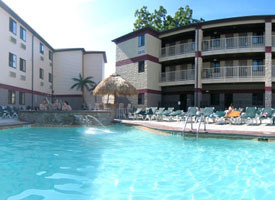 Guests can also take advantage of the new pool installed in 2008. There is ample space to layout and catch some Put-in-Bay rays and a swimming area to beat the heat. By choosing the Island Club you provide you and your group an opportunity to stay together, and have the space and comforts that a hotel simply cannot provide. Also, the costs are either cheaper or comparable to the hotel rates, without sacrificing your privacy and space. We can accommodate very large groups, and pending on availablility, be able to put groups in neighboring homes. You can rent an Island Club Rentals home by the week, weekend or during the midweek. 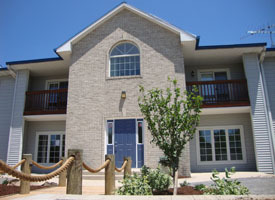 A Place at the Bay is a private home located across from the Island Club on over an acre just off Put-in-Bay Road. The house is a large 4 bedroom 2 bath Island home with a Jacuzzi master suite. 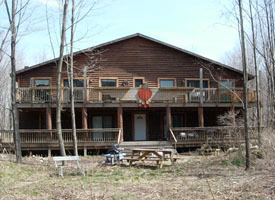 A Place at the Bay has accommodations for up to 12 people. 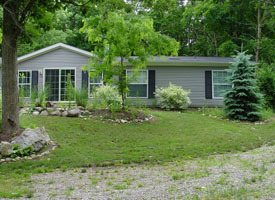 You can enjoy the beautiful island of Put-in-Bay in the wooded privacy of your own put in bay home. The home is right next to the par 3 Saunders Golf Course and 1/2 mile away from the South Bass Island State Park, 1/2 mile from the car ferry and about 1 mile from downtown Put-in-Bay Ohio and the Jet Express. Peace and Quiet is two side-by-side efficiencies located less than a mile from downtown Put in Bay each side sleeps up to six people. The suites can be rented together or separately, each suite is furnished with a fully equipped kitchen, central AC, TV, washer and dryer and a wraparound deck. Peace and Quiet is the perfect place for those who want to enjoy great night life and excitment of downtown Put in Bay but would like a relaxing place to go when they need a break. Peace and Quiet is located less than a mile from Delaware Avenue - the downtown of Put in Bay, Ohio.